Product prices and availability are accurate as of 2019-04-20 22:37:30 UTC and are subject to change. Any price and availability information displayed on http://www.amazon.com/ at the time of purchase will apply to the purchase of this product. *Department of Energy issues new energy conservation standards effective January 1, 2015, which applies to residential air conditioners, heat pumps, and package units. 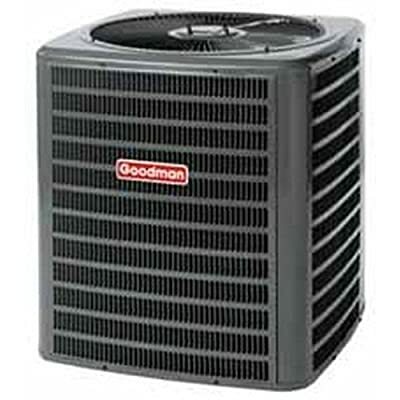 Standards for these products depend on the region where they are installed. 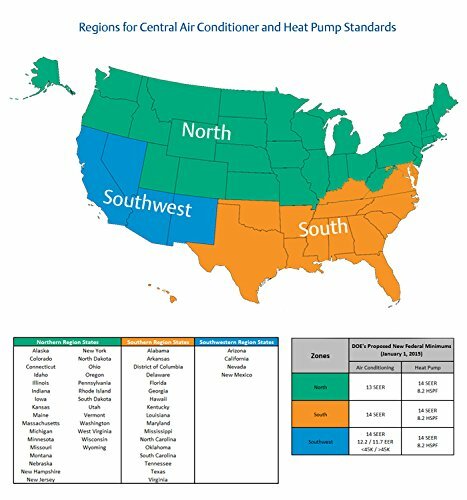 Key terms associated with these standards: HSPF (Heating Seasonal Performance Factor); SEER (Seasonal Energy Efficiency Rating); EER (Energy Efficiency Ratio) As a result of the new Department of Energy Regulations, this item cannot be sold in the following states: California, Nevada, Arizona, New Mexico, Texas, Oklahoma, Arkansas, Louisiana, Mississippi, Alabama, Tennessee, Georgia, Florida, South Carolina, North Carolina, Virginia, Kentucky, and Maryland.